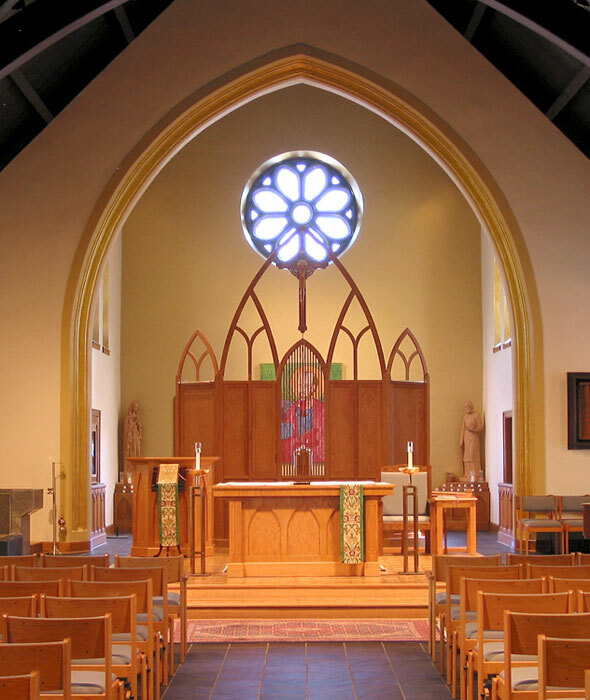 The design was determined by the size of an existing crucifix. 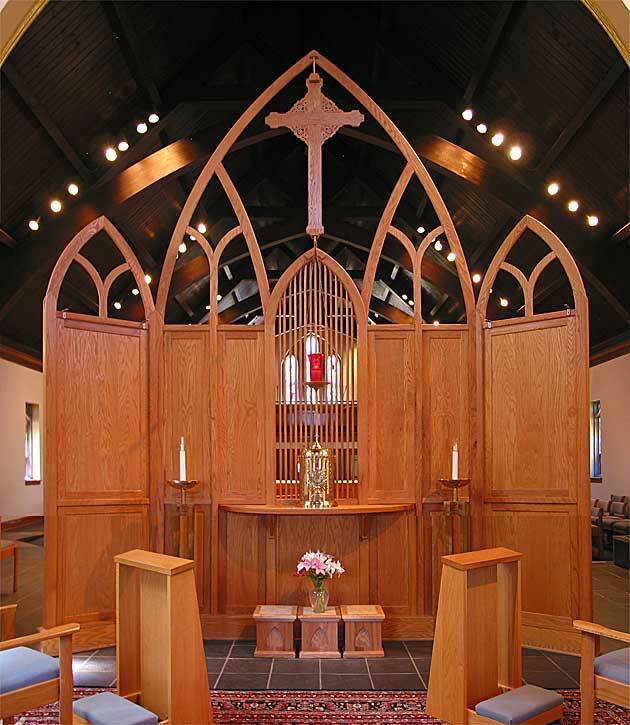 The sides were angled to invite worshipers into the prayer chapel. 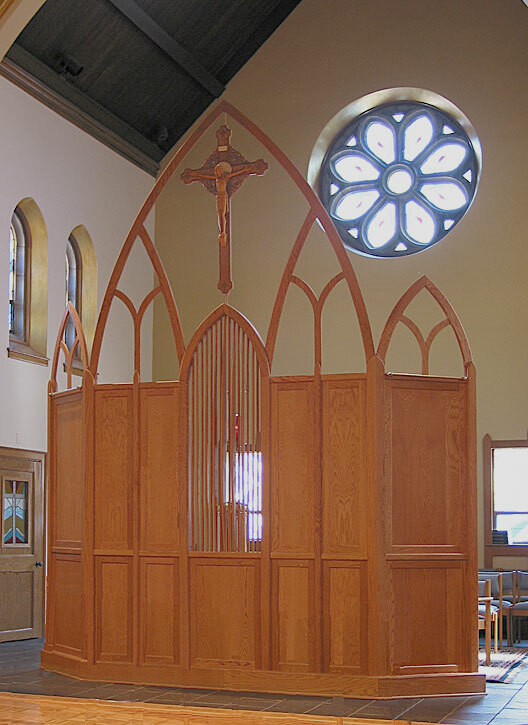 The reredos is a screen located behind the sanctuary. and a prayer chapel where the tabernacle is located.